Since ancient times, one of the primary goals of alchemical research and experimentation has been to convert base metals into precious metals in mere hours. While many alchemists have claimed to achieve this lofty goal, rapidly unfolding developments applying the phonon transfer process for resonant atomic transmutation now provide a comprehensive mathematical framework for accomplishing this glorified feat. Phonon resonance calculations reveal the vibratory interactions of heated metals and absorbed gases that enable the low energy nuclear conversion of one element into another. While highly accurate values for calculating the phonon resonance of each isotope first became available to modern scientists in 2004, the concept of a harmonic structure of atomic resonance has been long accepted by visionary scientists such as Nikola Tesla, Walter Russell and John Keely. The physics of phonon resonance now confirms the experimental research of a lesser-known German alchemist named Franz Tausend, revealing the authenticity of his early breakthroughs in the resonant atomic transmutation of lead into gold from 1925-1928. These fascinating metallurgical discoveries were made through a simple trial-and-error process during the same timeframe that Nikola Tesla and Thomas Townsend Brown developed the Tesla Gravity Motor in the US, with technical assistance from trance medium Edgar Cayce. A brief summary of the alchemy processes and business ventures of Franz Tausend (1884-1942) exposes exhaustive interference and control methods employed by the fledgling Nazi political faction, effectively stealing Tausend's lead to gold process before setting him up for fraud charges on false pretenses and having him convicted and jailed three times -despite the successful demonstration of his lead to gold process to the court in each of the three cases! Acting on Tausend's instructions, Stremmel bought the required materials, which were melted by Kummer and von Rebay. They then remelted by the mixture in an electric furnace and added a bit of white powder. The melt was cooled and the crucible broken to reveal a gold nugget which weighed 7 grams. Stremmel had the gold assayed by a Munich jeweler who declared it to be 23-karat quality. Unconvinced, Stremmel had the specimen tested again in Berlin, with the same result; the gold was genuine and pure. On June 16, 1928, Franz Tausend made his first large-scale experiment in the manufacture of gold. A mixture of 750 grams of materials including lead and borax was melted according to Tausend's formula, and a few milligrams of his secret catalyst, a white powder, was added. When the melt had nearly reached the melting point of gold, the crucible was removed from the furnace and examined. A yellow mass was visible beneath the original lead. The crucible was heated again for 24 hours. The yield was 723 grams of gold from 750 grams of base metals. Tausend's alchemical process seems surprisingly simple and would be easily replicable by any reader if significant factors were not omitted from all published accounts. Clearly, the secret white powder used by Tausend to catalyze the reaction has not been disclosed, but there are other factors that have also been left out of all written accounts, including precise temperature requirements. One detail given in accounts of Tausend's 1925 experiment provides an important clue. It is stated that the crucible was 'broken' open to reveal the gold nugget produced, confirming that the crucible must have been sealed to prevent air from entering and interfering with the reaction. Aluminum oxide (Al2O3), commonly referred to as 'alumina', is a high-temperature refractory material that must have been used by Tausend to seal the crucible -which constitutes a significant step that has been omitted from all accounts. So, how was the crucible 'removed from the furnace and examined' during Tausend's successful large-scale experiment accomplished in 1928? The 1928 experiment must have been run in a vacuum furnace that could be opened for inspection after the lead to gold transmutation reaction had already begun. The use of vacuum pumps by Tausend in his alchemical experimentation is also well documented. Another discrepancy in the published accounts of Tausend's 1928 experiment concerns the claim that 'a yellow mass was visible beneath the original lead', 'when the melt had nearly reached the melting point of gold'. Now, simple logic denies the truth of this statement. If lead melts at 327°C and gold at 1,064°C, how is it that the lead was completely melted at near 1,064°C and yet one could look beneath it? If heating the lead to a specific temperature commences the conversion reaction into gold, then it can be assumed that the yellow color change in the lead mass would occur from the bottom first (as heat escapes the crucible from the top), and would then proceed to the top of the lead mass -but only in a solid state, below the 327°C melting point of the lead. By this logic, an accurate restatement would be: 'a yellow mass was visible beneath the original lead when it had nearly reached its melting point at 327°C'. Present-day calculations of atomic diameter at specific temperatures enabled by the phonon resonance formulae of geologist Walter Lussage (below) facilitate identification of the exact resonant temperature of the lead to gold transmutation reaction, as well as identifying the 'secret white powder' that Tausend added to lead melts to catalyze their conversion. The great variety of constituents added to the lead mass in Tausend's diverse experimental processes included elements such as boron, carbon, nitrogen, oxygen, sodium, aluminum, silicon, sulfur, chlorine, potassium, arsenic, tin and even uranium. Of all these, aluminum is the only element that possesses phonon frequency matching potential with the gold target element. Aluminum has been successfully employed by this author as a phonon transfer agent for the resonant conversion of copper into silver, gold and titanium. The special aluminum compound employed by Franz Tausend to catalyze the conversion of lead into gold was aluminum chloride (AlCl3), which possesses a white coloration at high purity (above, center) and a yellow coloration when iron traces are present (above, right), closely resembling sulfur. Aluminum chloride reacts violently upon contact with water, which coherently explains why Tausend's experimental furnace processes had accidently exploded on more than one occasion, when gases were injected into the reactor furnace -gases which must have contained traces of water vapor. In fact, volatile aluminum chloride powder can simply be replaced with aluminum powder to effectively catalyze the lead to gold resonant transmutation reaction. Aluminum isotope (Al27) provides the resonant frequency of the gold target isotope (Au197), as determined by the following formulae (calculated using the latest atomic data sets for the elements, provided in blue). Successful replication of Franz Tausend's lead to gold alchemical conversion process recently undertaken by this author on a campfire in the presence of air (without using a vacuum furnace or sealed crucible) has confirmed these phonon resonance calculations and formulaic conclusions, effectively converting a small percentage of lead into gold in 24 hours at 308.5°C using only aluminum powder as the phonon transfer catalyst. Fine nanolayers of gold can be readily seen forming on molten lead surfaces as they cool, while solid lead forms a yellow surface coating when the correct conditions have been achieved. 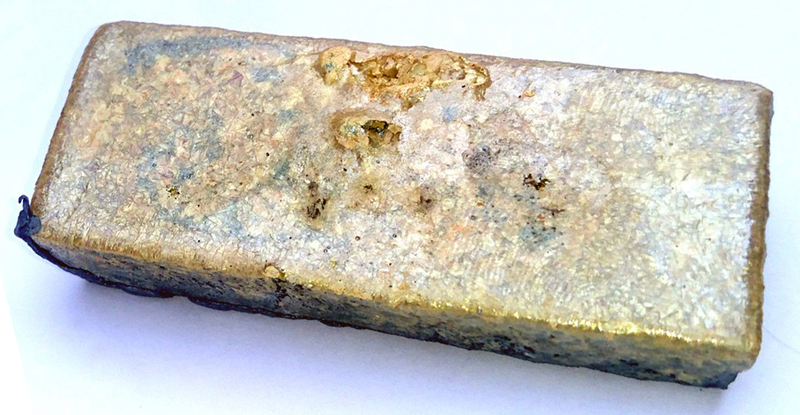 The lead mass containing gold powder was then remelted with borax (sodium borate) and cast as an ingot, whereby the gold powder content was partly driven to the surface of the bar with the borax due to the lower atomic mass of gold versus lead (above). At low concentrations, gold nanoparticles become concentrated within the borax crystal surface layer, which can be cracked off from the solid lead mass and refined into pure gold powder by digestion in a weak nitric acid solution on low heat. Small quantities of borax powder are added to ensure the molten metal mass does not adhere to the crucible when poured out, or to surfaces of the mold into which it is cast. While the simple, open-air format of these experiments allow direct observation of the lead to gold resonant atomic transmutation reaction in progress, the bulk of the lead starting material cannot be converted quickly due to the presence of absorbed gases within the lead, requiring days for processing just a few grams. The use of a sealed crucible or a vacuum furnace effectively removes absorbed gases from the lead mass, ensuring that interstitial spaces in the lead crystal lattice are vacant, providing loci for helium and hydrogen gas atoms to be ejected during resonant conversion of lead atoms into gold atoms. Ejected gases are then removed from the lead mass by the action of the vacuum, ensuring that interstitial spaces are once again available for adjacent lead atoms to eject gas atoms, thereby allowing conversion into gold throughout the entire lead mass. GThe mass of gold atoms formed by this reaction at 308.5°C near the melting point of lead remain as individual atoms or form ultrafine gold flakes. These gold nanoflakes accumulate on lead surfaces to form a powder that must be melted above 1,064°C to become fused as a 23-karat gold nugget with lead, aluminum and borax traces. These basic resonant atomic transmutation findings, which can be easily confirmed by anyone who can make a wood fire, and can afford to buy a piece of sandpaper, an aluminum pencil sharpener and a bit of lead and use them as specified, decisively vindicates the scientific claims made by Franz Tausend nearly a century ago. MUNICH. Oct. 9 - A former plumber, Franz Tausend, who was arrested last January on a charge of having swindled several persons, including General von Ludendorff, of more than $100,000 through asserting that he was able to make gold synthetically from lead, has regained some of his lost reputation, and his assertions are being seriously considered. All during his imprisonment Tausend insisted that his discovery was based on scientific principles and that he should be allowed a chance to deliver his proofs. A few days ago his request was complied with, and, after he had been minutely searched and every precautions taken to prevent any juggling, Tausend began experimenting at the State mint in the presence of the mint director, an assistant, two detectives, the State's attorney and the examining judge. The material and instruments used by Tausend were supplied by officials and were thoroughly examined. An official statement issued later said: "After experimenting for two hours, Tausend produced a grain of the purest gold, weighing one-tenth of a gram, which was smelted from 1.67 grams of lead. Experts describe the result as surprisingly favorable, and contradictory to scientific knowledge. The Director of the Mint, however, is unable to suppress doubts as to whether Tausend was able to smuggle the gold into the test despite all the precautions." Tausend's lawyer, Herr von Pestalozzi, in a communication to the press, points out that his client has been imprisoned for nine months and that he was taken from the prison under the greatest of precautions, which made any juggling impossible. While experimenting before his financiers in 1925, Tausend used two methods. In a quicksilver method he used "tincture of tinctures", which consisted of lead chloride and calcium hydroxide. This was smelted with potassium and sodium, in addition to quicksilver. In the second method, Tausend used potassium hydroxide, rock flint and ferric oxide. He succeeded repeatedly in producing pure gold of from five to thirty grams. The cost of production of the allegedly synthetic gold was estimated from $5 to $6 per kilogram (2.204 pounds), as against $700 a kilogram in the present world market. Franz Tausend apparently impressed all eyewitnesses to his gold production processes by successfully applying multiple methods using a variety of materials, as it comprehensively demonstrated his mastery over a complex set of resonant transmutation principles that had not been realized by any other scientist at that time. Without applying any phonon resonance calculations whatsoever, Tausend had cleverly arrived at the primary understanding that aluminum resonates at the same frequency as the gold target element when heated to just below the melting point of lead, near 309°C. He had arrived, by experimentation and keen observation alone, at the additional understanding that elements presenting a greater atomic mass than gold (such as lead) will eject gases by atomic fission under vacuum in the presence of aluminum at 309°C, thereby transmuting into gold. Conversely, Tausend also observed that elements presenting a lesser atomic mass than gold (such as iron) will recombine with absorbed gases or adjacent lighter elements by atomic fusion in the presence of aluminum at 309°C, thereby transmuting into gold. Tausend's use of various chemical compounds composed of metal atoms bound to multiple gas atoms, especially oxides and chlorides, provided enough available atomic mass for enabling a great variety of resonant fusion reactions according to these decisive conclusions. All written accounts of Tausend's iron to gold fusion processes make no mention of the inclusion of aluminum in any form, which is now known to be an irreplaceable catalyst, revealing that aluminum chloride must have been secretly added to other known white powder constituents (such as potassium hydroxide and calcium hydroxide). Likewise, Tausend's use of lead chloride in gold-producing fission reactions is now known to be unnecessary, as pure lead is equally effective, suggesting that it was simply utilized to hide the presence of a pinch of aluminum chloride powder that Tausend had secretly added to the lead chloride. 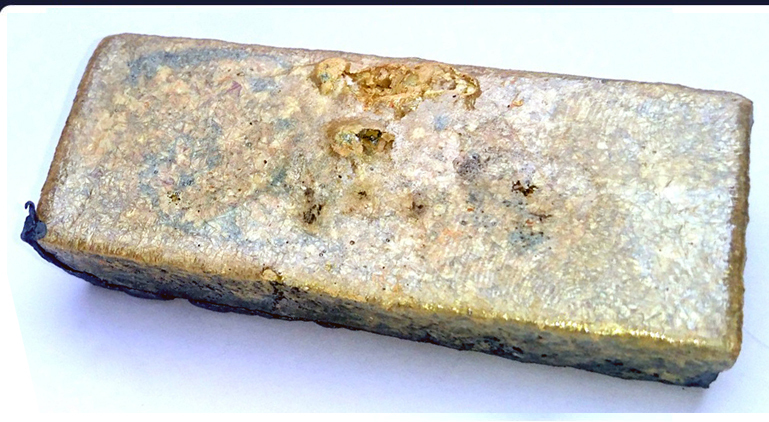 Excess chlorides would have been vaporized during the final stage of fusing the gold powder into a high-purity gold nugget. Franz Tausend's cleverly crafted transmutation processes incorporated untraceable additives in various reactions that were carefully designed and preferred for demonstration purposes as they effectively obscured the essential concepts that he alone understood and would not divulge to any financier. This fact coherently explains why none of these more evasive gold-producing processes were chosen for demonstration during any of his legal trials, when it would have been impossible for him to spike the white powder constituents with a pinch of aluminum chloride, as each component had been supplied by the supervising officials in its purest form. Certainly, Nazi officials would have preferred to quietly assassinate Tausend immediately after they had replicated his alchemy processes on their own, yet his evasive presentations had apparently left them unable to do so, thereby necessitating his incarceration and implementing the strictest of controls during another demonstration to finally steal his lead to gold process under the thin guise of jurisprudence. There can be no doubt that Franz Tausend survived for as long as he did, despite myriad attempts to steal his extraordinary discovery of dozens of viable gold-producing resonant transmutation processes, because he had succeeded in protecting his intellectual property by the most effective of means. Tausend's outstanding ability to recognize subtle patterns in the behavior of elements under diverse conditions also allowed him to design the most unrecognizable combinations that would best hide his principles and confuse every eyewitness, no matter how knowledgeable in the standard terms of atomic physics and metallurgy. 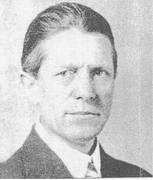 After Tausend's triumph at the State Mint and the subsequent publication of the October 10, 1929 New York Times piece in support of the scientific veracity of his claims, he was apparently released from prison and allowed to continue business activities involving his alchemical procedures. Leading Munich Chemists and Newspapers So Brand Test -Leaks in Supervision Disclosed. MUNICH. Oct. 10 -Now that Munich has had its gold rush, the mystery of the alchemy of Franz Tausend, plumber, reveals itself as a deft swindle, in the judgment of serious scientists, but the gay Bavarian capital is still wondering whether it is the victim of a premature carnival joke. It is now admitted, however, that Tausend's former partner, who was allowed to be present when the experiments were being made in the official mint, slipped the plumber a package of cigarettes, and it is gravely suspected that they had been sprinkled with gold dust, which found its way into the melting pot as Tausend tossed the ashes off his cigarettes. There is general running for cover on the part of the numerous ponderous officials who supervised Tausend's experiments, which one of the leading chemists of Munich University today called Tausend's "little pleasantry". The professor of chemistry stamped the whole episode as a huge hoax and denied that the gold produced was transmuted from lead, but asserted that the gold by some feat of legerde-main had been prevoiously deposited in the melting pot. The press also dismissed the episode as something outside the realms of serious scientific debate, and one of the leading newspapers asks that if, according to Tausend's formula, 1.67 grams of gold could be converted into one tenth of a gram of gold, then why did Tausend with such a "plumber's lead pipe cinch" seek outside financial aid while he was still out of jail? The society organized in October, 1925, for the purpose of exploiting Tausend's discovery was composed of prominent men, including General von Ludendorff. It was agreed that the profits accruing should be divided as follows: Ludendorff was to receive 75 per cent to be devoted to "patriotic purposes"; Tausend was to get 5 per cent, and the remaining 20 per cent was to be split among the promoters according to their financial participation. The society soon broke up in a row, although Tausend enjoyed a period of prosperity while conducting his backers on an excursion into the realms of alchemy. 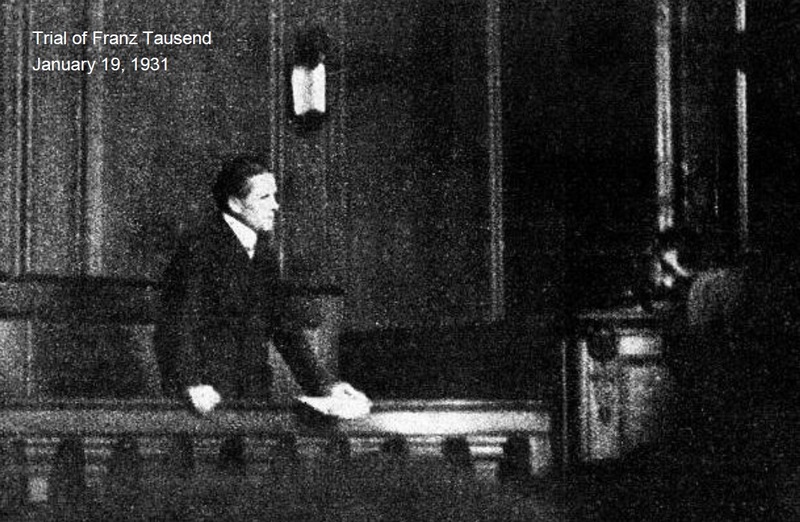 Franz Tausend was once again charged with fraud and brought to trial on January 19, 1931 (above) and eventually sentenced to 3 years and 8 months prison time. After serving his second sentence Tausend was released, only to be arrested again a few years later in 1937, and convicted in 1938 on false charges of check and money fraud. Apparently scientific proofs did not stop the German government´s criminal persecution of Franz Tausend. Obviously, he had been threatened by German officials during his second period of imprisonment with further incarceration if he continued to produce gold after his release. Indeed, he did continue running his alchemical procedure despite such threats from Nazi government officials, and suffered an even more severe consequence for dismissing the reincarceration threats: death. During his third period of imprisonment Franz Tausend was the victim of covert political assassination, having died in prison custody on July 9, 1942, just four days after his 58th birthday. Of course, no cause of death was ever reported and the circumstances behind his death remain entirely unexplained to this day. Franz Tausend's highly suspicious death in a German prison occurred during the same narrow timeframe of the first years of World War II that also saw the covert political assassinations of prominent inventors such as George Lakhovsky (1869-1942), Nikola Tesla (1856-1943) and Tesla´s companion Lillie Delaney (1886-1940), as well as Tesla's psychic medium Edgar Cayce (1877-1945) and his wife Gertrude Cayce (1880-1945). In each case, false causes of death were fabricated by government-bribed officials and doctors. All of these covert political assassinations involved Nazi theft of various highly advanced technological achievements made by the victims. 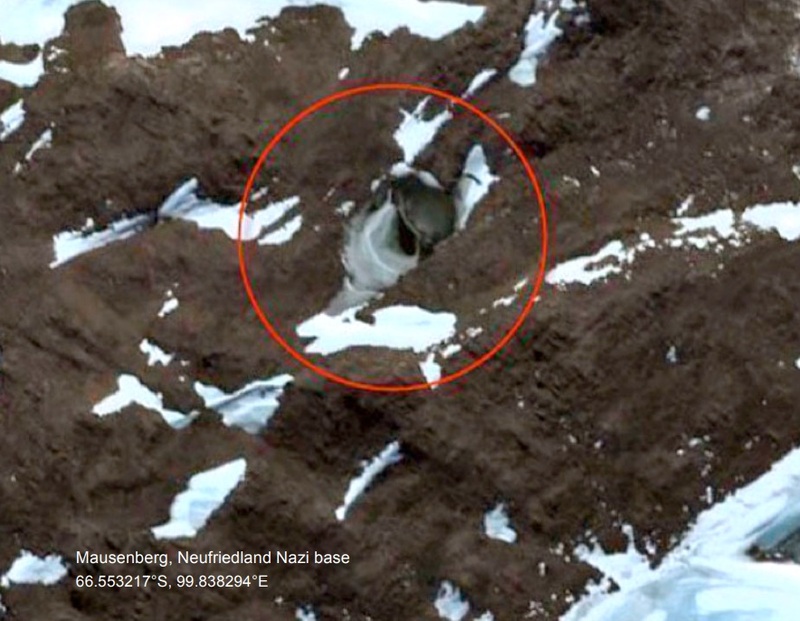 As was the case with the Tesla Gravity Motor, completed in 1931, Franz Tausend's lead to gold process was stolen by Nazi agents for mass-production of gold from lead, which has been undertaken at the Mausenburg, Neufriedland subterranean Nazi base in Antarctica for several decades. The Mausenburg underground base is accessible only by submarine entrances or an antigravitic disc aircraft portal clearly visible on satellite imagery (above). Just before World War II, a controversial young man named Franz Tausend entered into the industrial manufacture of gold. His business methods led him to be accused of fraud, but there is some evidence that he actually did realize the secret of low-energy transmutations of base metals to gold. Franz Tausend was born in 1884 at Krumbach in the province of Swabia, Bavaria. His father was a tinsmith, and Franz learned the craft. His native intelligence prompted his pastor and schoolmaster to petition for his admission to a teachers' training college. But Franz soon left that drear and transferred to a Non-Commissioned Officers' school. After three years, however, Tausend left the school as a mere private. He went to work as a lab assistant in a chemical factory until the beginning of World War I, during which he was posted as a private at Metz. During his military service, Franz Tausend read all available chemistry books and began to develop his own alchemical hypothesis of the structure of matter. When he was discharged from the army at age 34 in 1919, Tausend set to work to test his ideas on transmutation. In 1921 in Obermenzig (a suburb of Munich), Franz experimented fruitlessly with processes for the production of aluminum from clay, of morphia from salt, of nickel, and a method for the cheaper manufacture of steel. Tausend moved his laboratory to Aubing, where he wrote a pamphlet entitled '180 Elements, Their Atomic Weight, and Their Incorporation in the System of Harmonic Periods'. His fundamental thesis held that each element possesses a characteristic frequency of vibration which is related to the nuclear weight and the surrounding layers of electrons. His theory can be compared to modern Nuclear Magnetic Resonance and other similar characteristic identifications of elements and molecules. Tausend thought that transmutation could be accomplished by complementing or supplementing the frequencies of elements by means of 'symphonic' wave interactions of light and sound, thus to create new harmonics of matter. Contemporarily in September 1919, the eminent physicist A. Sommerfeld declared a similar opinion: 'What we now are able to learn from the language of the spectra is really the spherical music of the atom, a harmony of whole-number relations, a growing order and harmony despite all diversity'. Tausend formed his first company, Tausend -Reinhardt Gmbh, in 1923. His 21-year-old partner and general manager, Rudolf Reinhardt, was a law student who invested 5000 marks of his own, and secured a loan of 100,000 marks from a Frau Schielbach at 24% interest and 50% of the company's profits. Tausend immediately spent 300,000 lire to purchase the Castle of Paschback (near Eppau in the South Tyrol) as his laboratory, where the company entered into the manufacture of zinc peroxide. Tausend also then married a pretty young waitress to make a home with him in the castle. Tausend spent 25,000 marks to equip an experimental laboratory. One of his experiments with a compound of lead exploded. When scraped off the walls, traces of gold were obviously evident in the splashes of melt. Thus encouraged, Reinhardt advised Tausend to petition the government with his process. The Bavarian Minister of Finance believed Tausend and allowed experiments to be performed at the Munich Mint, but other officials there objected. At this, Rudolf Reinhardt then went to the Imperial Chancellor's Office in Berlin, and convinced them to appoint a 'Trustee of the German People', who was none other than General Erich von Ludendorff. 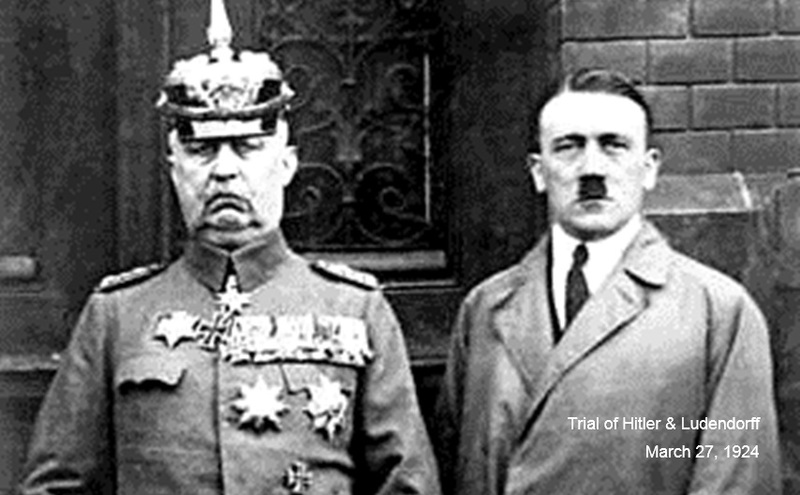 General von Ludendorff had been acquitted as a co-conspirator with Adolf Hitler in 1924, when Hitler was jailed for attempting to organize a putsch in Munich. In 1925, the General ran for the office of President of the German Republic, but he was roundly defeated by General Hindenburg. Thereafter General Ludendorff offered his services as the Trustee requested by Tausend. Ludendorff visited Tausend with a group of associates comprised of a chemical engineer named Kummer, Alfred Mannesmann, a businessman, a banker named Osthoff, a merchant of Koln named Stremmel, and Franz von Rebay. In June, 1925, Franz Tausend and General Ludendorff concluded an agreement in which the General received the usufruct of manufacturing synthetic gold on behalf of the German Republic. But the agreement required ratification by President Hindenburg, who refused to do so. On July 1, 1925, General Ludendorff made other, private arrangements with Tausend, who renounced all rights to his discovery and swore to absolute secrecy concerning the process. Furthermore, he assigned any further improvements in the invention to General Ludendorff. On October 14, 1925, Tausend and Ludendorff signed two contracts which were notarized by Munich Councilor Schramm. One contract was to form a new Company 164 -164 being a code for gold. The second contract was private with General Ludendorff, who thereby secured all rights to Tausend's discoveries. Tausend was to receive 5% of the profits, investors 12%, and General Ludendorff's 'special collaborators', who invested nothing, were to enjoy 8%. The General's share was 75%, which was to be spent on 'patriotic' goals -the Nazi party. Ludendorff immediately proceeded to embezzle a large percentage of investment money, and he introduced more 'special collaborators' who contributed nothing, but claimed their 8%. In addition, they demanded to observe the process, which by them was producing up to one ounce of gold in each experiment. One collaborator, a chemist named Doering, learned the entire process and then offered his services to the General, claiming that he could manufacture gold too, and in larger amounts than Tausend. But Ludendorff remained 'faithful' to Tausend, so Doering left Company 164 to start his own business of manufacturing gold. Excited investors put nearly one million marks into Company 164. These persons included the Princes Hermann and Ulrich von Schonberg-Waldenburg, each of whom invested 72,500 marks. A merchant named von Winkler, who invested 40,000 marks, begged Tausend for a bit of artificial gold with which to make a bracelet for his mother, who was celebrating her golden wedding anniversary with her husband. Tausend generously graced him with a gift of 100 grams of gold. Tausend assured the investors that Company 164 already had 120 kilograms of gold deposited in a Berlin bank that he was soon to produce it by the ton. But the investors were disturbed to see so much of their money -over 400,000 marks- disappearing into General Ludendorff's schemes. About this time, another of Tausend's experiments exploded when gas was admitted into the smelting furnace. Franz von Rebay and others of Ludendorff's confidants were present and scraped an ounce of gold from the walls of the furnace. By December 1926, General Ludendorff had drained Company 164 to such an extent that he deemed it prudent to withdraw from the business. He returned all rights to the gold-manufacturing process -and all of the company's debts- to Tausend. Company 164 was dissolved, and on January 9, 1927 the Tausend Research Society was formed in Frankfurt to replace Company 164 and take over its phantom holdings. Chairman Tausend generously limited the shareholders' profits to 1500% of the original capital, and allotted 15% of all new income to himself. The Society's statutes warned that 'All members of the Society clearly understand that their subscriptions are paid in faith and without counter-security'. Two former subscribers to Company 164, Johann and Fritz Kuchenmeister of Saxony had taken a bath in that venture and resolved to liquidate one of their industrial assets, an obsolete textile mill, at Tausend's expense. They sold the building to Tausend for the exorbitant sum of 150,000 marks, and there in Frieburg the alchemist established his new laboratory. In November 1927, the merchant Stremmel of Koln, who had entered Company 164 with General Ludendorff and remained as Tausend's general manager, resigned his post. He was replaced by Herbert von Oberwirzer, a Dresden manufacturer. By this time, little more money was forthcoming from the German industrialists, so Tausend went to Vienna to seek further funding for his enterprise. Tausend successfully demonstrated his process to the steel magnates Phillip and Richard von Schooler. They and others in the so-called Vienna Group invested 235,000 marks and offered the use of three blast furnaces (with a capacity of 60 tons each) for the production of gold. But Tausend demurred, saying that such large-scale production was premature at that time. The success of this experiment prompted Tausend to issue a series of gold certificates valued at 10 kg each, or 25,000 marks. But a year later, when no more gold was forthcoming, an investigation of fraud was made, and Tausend was jailed while it ensued. During that time he was allowed to perform an experiment under strict supervision at the Munich Mint, with the understanding that he would be released if it was successful. The experiment succeeded, but the expert witnesses disagreed so violently that their testimonies were useless in court when the trial opened on January 19, 1931. On February 5, Tausend was convicted of fraud and sentenced to three years and eight months imprisonment. After he was released, he disappeared from public view. According to Schleff's description of Tausend's process, 111 grams of lead chloride was fused under paraffin with 60 grams potassium hydroxide. Then more KOH was added, and the solution kept molten. The melt was cooled under vacuum.In another process presented by Tausend to financiers in 1925, 76 grams of potassium and 55 grams of sodium were fused under paraffin, then 131.44 grams of mercury were added, and the mixture heated overnight, followed by another 365 grams of mercury. The crystallized product was remelted. 17.4 grams of lead chloride-KOH was reacted with 5.4 grams of K-Na-Hg to yield 5.4 grams of gold. Another process employed 25.2 grams KOH and silica, heated on a water bath. After 5 minutes, 1.45 grams of iron oxide was added, and another 3.15 grams of silica. The mixture was heated red-hot for 90 minutes. Workup yielded 1.9 grams of gold. Tausend also employed other reagents in his experiments, but it is not known how or why they were used: ammonium carbonate, lime, potassium nitrate, soda, borax, sulfuric acid, and potassium cyanide, oxalic acid, uranyl nitrate, aluminum chloride, potassium arsenide, lead sulfate, tin oxide, silica, and asbestos.